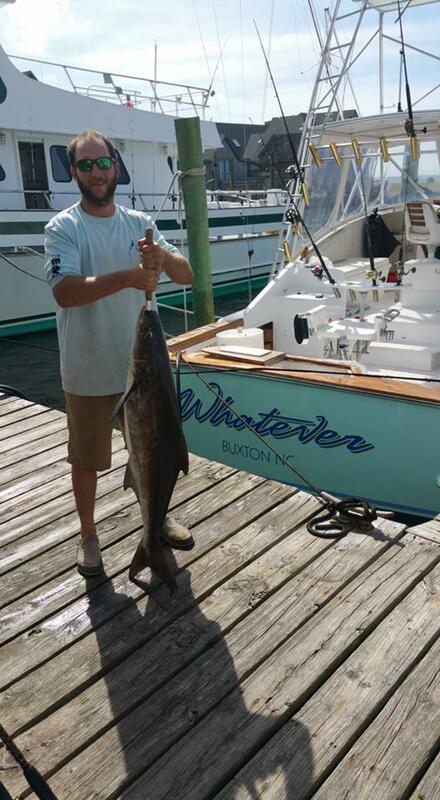 Hatteras Fishing Report for 5/28/2016 -- Cobia fishing today and we saw 5 caught 1. Found the big drum and broke one off and pulled the hook on one next to the boat. Plenty of cobia seen around the fleet today but they didn't seem too hungry. Maybe they will be after this weather we are suppose to get the next couple of days.